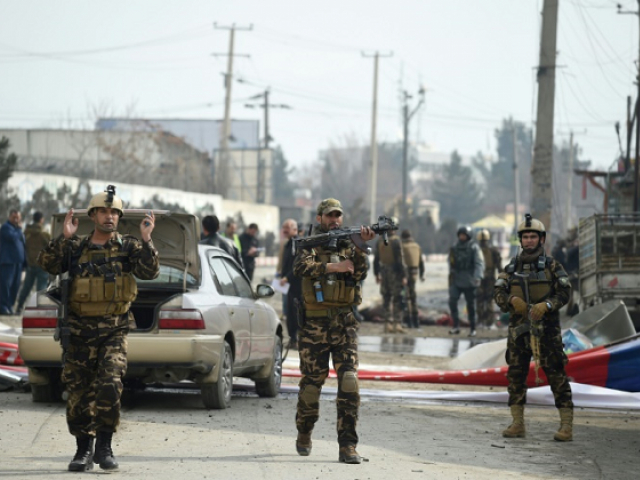 WASHINGTON –Kabul's control of Afghanistan slipped in recent months as local security forces suffered record-level casualties while making minimal or no progress against the Taliban, a US government watchdog said Thursday. The latest glimpse into Afghanistan's security crisis highlights persistent problems among police and army units who have faced years of devastating losses, and shows the Taliban's resilience 17 years after the US-led invasion. Numbers provided by Resolute Support, the US-led NATO mission in Afghanistan, show that during the last quarter, the Afghan government controlled or influenced 226 of the country's 407 districts -- or 55.5 percent. It is the lowest level since SIGAR began tracking district control in November 2015. Of the remaining districts, SIGAR assessed that 49 were under insurgent control or influence (12 percent). The balance -- 132 districts -- are considered "contested" between the Kabul government and the Taliban or other insurgent groups. In terms of the Afghan population itself, Kabul controls or influences 65.2 percent, the same amount as a year ago. Underscoring the security weaknesses, powerful police chief General Abdul Raziq was among three people killed in a brazen insider attack on a high-level security meeting this month in Kandahar. The meeting was also attended by General Scott Miller, the top US and NATO commander in Afghanistan. President Donald Trump launched a revamped Afghan plan more than a year ago that saw the US scrap any timetables for a US pullout and re-commit thousands more troops to Afghanistan, most of them dedicated to training and advising local forces. Data for casualties suffered by Afghan security forces are not available to the public after Washington last year agreed to Kabul's request to classify the numbers. Before the blackout, according to figures published by SIGAR, there were more than 5,000 each year. In its latest report, SIGAR cited Resolute Support as saying this summer's toll has been worse than ever. "From the period of May 1 to the most current data as of October 1, 2018, the average number of casualties the (Afghan forces) suffered is the greatest it has ever been during like periods," Resolute Support said, according to SIGAR. Mattis this week said more than 1,000 "Afghan lads" were killed or wounded just in August and September. SIGAR added that data show the Afghan forces "made minimal or no progress in pressuring the Taliban over the quarter." The report does however highlight "some successes" in counter-terrorism operations against the Islamic State group's affiliate in Afghanistan, including in August when 250 jihadists surrendered to Afghan security forces in Jowzjan province.